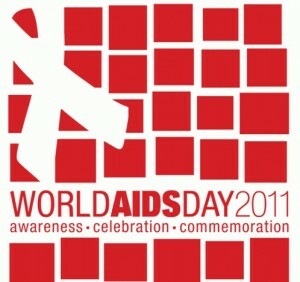 One of my pet peeves was brought to mind by World AIDS Day. Not that I oppose finding a cure for HIV. I was a social worker when AIDS emerged in the eighties. I helped a young man with HIV who was kicked out of the Greenwich Village loft that he had shared with his lover, and was living miles from a payphone in the country where he slowly died of AIDS. No one was with him. He covered his mouth in my office, and treated himself as a pariah, asking me to touch the doorknobs for him, since no one knew how AIDS was transmitted. Abandoned to die alone, my heart broke with compassion for him, but in 1985 there was very little I could do besides make him comfortable and keep him company. In a little over three decades, we discovered AIDS existed, raised money for research, and found treatments. Now it’s effectively cured. If only we would admit that it is spread by immoral sexual activity, we could have it under control. I am happy for those who are benefiting. Too bad that young man is not among them. Dr Lejeune also said, “Medicine becomes mad science when it attacks the patient instead of fighting the disease. We must always be on the patient’s side, always.” Did we kill AIDS patients as a means to a cure? Or cancer patients? Why was pre-natal diagnosis and abortion for nearly 50 years considered the end of the Down syndrome story? Sure, its a complicated disease, but so is HIV. I have to think that AIDS patients being movie stars, like Rock Hudson, had a lot to do with the dedication and speed with which we found a cure. There are 2.7 million afflicted with HIV in the USA and nearly half a million who have Trisomy 21, or 20% of that number. That is still a significant population, yet there were no huge TV specials, no ribbon on the White House, or, until recently, no big Hollywood celebrities sponsoring efforts to raise money for Down syndrome research. Instead, researchers like Dr Alberto Costa have to give of their own money to search for a cure for his daughter’s Down syndrome. Like Dr Costa, I have a daughter with Down syndrome. She is no Hollywood celebrity, but don’t try to tell her that. Her smile and her can-do attitude brighten her elementary school. I volunteer full time to raise awareness of the inequity with which people with trisomy 21 are treated. No, not in education. Thanks to the Americans with Disabilities Act, she can go to typical school right through college. But in research and the way it is considered standard medical practice that a woman expecting a child with Down syndrome gets no more than a phone number for an abortion clinic instead of information about how good life is for those with Down syndrome. Thanks to Dr Brian Skotko, whose new survey in the American Journal of Medical Genetics brings out the fact that 99% of families are happy with their child with Down syndrome, and that the people with T21 are just as pleased with their liives. This is not what expectant women have been hearing. My friends have been told they were selfish for wanting to give birth to their child with Down syndrome, bringing misery upon themselves and their families. Its simply not true. And I am working through KIDS (Keep Infants with Down Syndrome) to change how the diagnosis is treated, especially since with the new diagnostic test, MaterniT21, the diagnosis will be offered more widely and earlier. Doctors will have results at 12 weeks instead of 22, giving women plenty of time to educate themselves about what life is really going to be like for their child with Down syndrome before making a decision to abort. I want people like my daughter Christina to find the compassion, resources, and acceptance which is now offered to AIDS patients. Why shouldn’t she be treated with equal dignity? Things are changing. Three years ago, the National Institute of Health formulated a research plan to find a cure for the cognitive delays of Down syndrome, and is now forming a consortium of parents and researchers. The legacy of Dr Lejeune lives on in the newly formed Lejeune USA, which had a major meeting at the Neuroscience Convention last month in DC. UC San Diego Down syndrome researcher Dr William Mobley said, “if you told me a decade ago, I would be discussing clinical trials for a drug to treat Down syndrome cognitive delays, with four laboratories, I would not have believed it”. I was heartened by the star-studded fundraiser “Be Beautiful Be Yourself” offered by the Linda Crnic Institute for Down Syndrome in Washington last month at $500 a plate. Gladys Knight was there and so was my Congressman. We don’t want people with Down syndrome to go away, but there is bright promise that within a decade, the significant delays in memory and learning which my daughter endures, may be, like AIDS, on the way to the dustbin of history. Married for 19 years to Francisco, raising three daughters, Gabriela, 17, Isabella, 13 and Christina, 9. 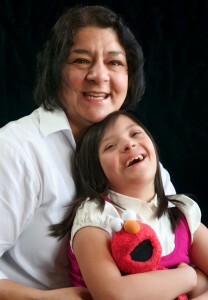 It was Christina's Down syndrome inspired Leticia to stop teaching English at a local college to full time freelance writing and media advocacy for children with Down syndrome You can find her work all over the web, and in print in National Catholic Register, Canticle, The Alhambran, National Right to Life News, Celebrate Life, and Faith and Family magazine. Leticia has been a guest on several radio shows and podcasts. She was recently interviewed about her advocacy group KIDS Keep Infants with Down Syndrome on EWTN by Teresa Tomeo at the March for Life and she will be appearing as a guest on their show, "Faith and Culture" shortly. She has contributed stories to "Stories for the Homeschool Heart", "Letters to Priests" and, is about to publish a collection of stories from Catholic Special Need Parents entitled, "A Special Mother is Born" with WestBow Press this spring. She is a popular speaker on family issues and the spiritual life. I am not sure about the comparison here. Searching for a cure for Down Syndrome implies that it is bad. AIDS is bad. Down Syndrome is not.